Question #7: How Many People Do You Talk to About Real Estate Every Day? This question will help you gauge the agent’s amount of focus and motivation. Agents should be prospecting for buyers and sellers, all day, every day. This can be anywhere from making phone calls to past clients, networking with other agents at Agent Open houses, public open houses, giving public educational presentations, talking to the person in the chair next to them getting a pedicure…(Who just so happens to be there with all the bridesmaids in her wedding party…. Ahem….Newlywed? May need a new house? And the bridesmaids getting their toes done, too? Pass your cards out to the whole bunch!) If an agent isn’t talking to at least 40-50 people every day about real estate, they may not be as proactive as you need them to be. Question #8: Who Pays for Advertising Your Services Or Homes For Sale? Don’t worry about asking this question for fear that it is none of your business. Since marketing your property is included as part of the real estate fees and it is one of the primary responsibilities of the agent, you need to know what it is you are paying for. Marketing is a huge part of an agent’s overall operating expenses, so it is appropriate to ask how much and how they are spending their marketing dollars. I would also ask if they have determined what types of marketing works and what doesn’t? Is placing a $50 classified ad in the Sunday paper really effective, or is there a better way that produces more results? And while you are at it, ask them WHO does their marketing? Do they write their own ads? Do they have an in-house marketing department? Or do they have a combo of marketing partners? Question #9: Will You Personally Handle Contract Negotiations? How confident is your agent? Do you think they are aggressive enough to go to bat for you to negotiate the best deal, and work on your behalf? I recently had a client that came to me from another agent because they didn’t think the agent was working in their best interest---they felt like they were working more for the other side. You have to have an agent that is dedicated to making YOU the top priority, and getting what is best for you. Did you ever see the movie, “Jerry McGuire”? Once Jerry got focused, dedicated and passionate about his client, (after his client screamed at him to, “SHOW ME THE MONEY!”), they became a winning success! You want an agent who has excellent negotiation skills, who is committed to your best interest. If you are ready to sit down and talk strategy and success, give me a call! I can be reached at 478-973-2684, or you can email me at: jpugh@goldenkeyrealty.net. Question # 4: Do you have a written marketing plan, and what are the key components of the plan? Obviously, this question applies more to sellers than buyers. The marketing plan needs to be extensive – If the plan doesn’t involve more than a sign in the yard and a classified ad, you might want to keep looking! Be sure to take a look at some of their marketing samples, as well. Internet marketing is HUGE these days, so having a techno-savvy agent with some groovy photo gadgets and gizmos that can make your listing pop is important! The key is consistent exposure in a variety of marketing arenas. Question #5: Can you provide me with client references and/or testimonials? When an agent has a majority of their clients coming from repeat and referred business, you can be pretty sure they have a lot of satisfied people out there! If they get a little shifty in their seat, and start babbling or changing the subject, you might consider this a red flag! The agent should be able to provide you with a list of satisfied people that will sing their praises---you don’t want them to have to brag on themselves. Question #6: Do you have a team of professionals you can refer me to? Your agent should have a high-caliber team of professionals that include a: good mortgage lender, home inspector, pest control inspector, licensed contractor, home stager, professional organizer, moving company and a real estate attorney. They should have these numbers at the ready for you to call upon, and you will want to interview them, as well. Keep in mind, if the referral is to their cousin Anthony that runs a little “financing company” from a little office in his restaurant in Florida, or that it is their brother Paul that came up with this really cool potion that “kills bugs dead” but is so strong they can’t get anyone to market the stuff, (and yes, these are true examples I have encountered over the years) you might want to keep looking! And when you interview these professionals, if you hear the word “DUCT TAPE”, if it is anyone other than the moving company, keep looking! So there are your next 3 questions. As I mentioned before, if you are ready to make a move, either to buy or sell real estate, email me at jpugh@goldenkeyrealty.net or give me a call at 478-973-2684. I would love to meet with you! If you’re in the market to either sell your home or purchase one, there’s something you should know: Real Estate Agents Are NOT All The Same! Buying and/or selling a home is likely to be the largest transaction you will ever make on a single purchase. 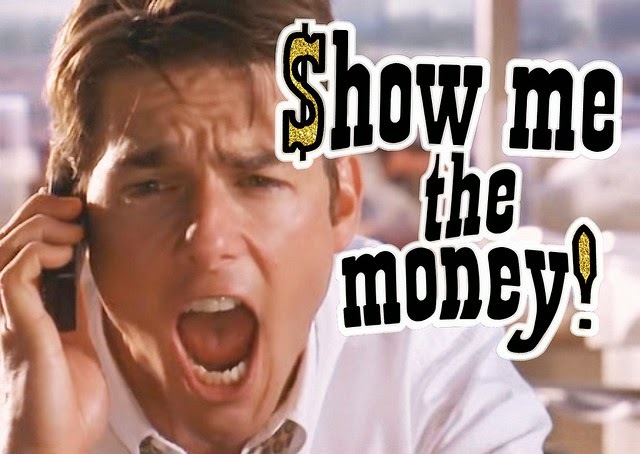 The agent you hire can mean the difference between making money or losing money. You want someone that is going to help you get the best for the least: The best deal in the least amount of time with the least amount of stress! Take it a step further by asking them to provide you with the number of transactions, average price range, specialized areas and types of homes they’ve bought or sold. You also want to know how productive they’ve been each year. You may find that an agent that has been in business for five years may be more productive than someone that has been in it for ten years! You will also want to know how many brokers they have worked for, and if they have moved around, why? You want an aggressive agent that is exceptionally focused, and someone that moves from company to company may lack that necessary focus if they are always transitioning from one company to the next. First, look at their overall education. Did they go to college? Do they have any professional designations, and if so, what are they? How many continuing education hours are they required to have, and how many do they actually have? (Do they only take classes because it is required, or do they take them to become more effective professionals?) Is he/she a Realtor® or a real estate agent? How often, and how, do they invest in improving their skills and keeping up with technology and other industry trends? If you are ready to start interviewing for a Realtor® to work with, email me at jpugh@goldenkeyrealty.net or give me a call at 478-973-2684. (I will even provide you with the answers to the other nine questions we haven’t covered yet!) I would love to meet with you! In the next blog post, “Finding the “RIGHT” Realtor®!, Part 2” ” I will post the next 3 questions you might ask during the Realtor® interview to determine who to hire. New Blog Series: Home Buyer/Seller Q & A: Because Moving is a BIG Deal! You Need a Realtor®, Right? Spring is just around the corner and for many people, along with the daffodils and pollen come either the itch or orders to move. In a military town, such as Warner Robins, GA, (RAFB), now is one time of the year when lots of folks are getting orders to relocate. So now is one time of the year when the real estate market really starts to pick up. One thing I have found with my military clients is that they are experts at relocating! I am always impressed with how organized and ever-prepared they are to move at a moment’s notice. But what about those that may be moving for the first time? Or are moving out of the area? Where do you start? There are so many different scenarios: You may have a house to sell and need to buy another one. Or you may be leasing and have decided it is time to buy your first home. You may be upsizing. You may be downsizing. You may be moving across town or across the country. It may be a global move that has you moving to ANOTHER country, which is very common for our military folks. At first glance, it can seem overwhelming because let’s face it: Moving is a BIG deal! 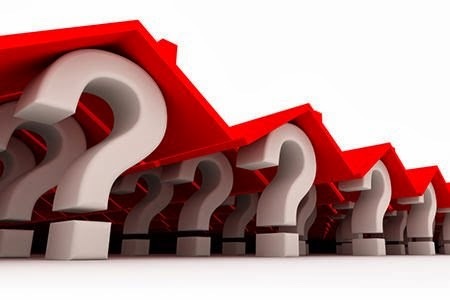 So I thought I my next blog series should be, “Home Buyer/Seller Q & A: Because Moving is a BIG Deal!” I will be blogging answers to some of the most common questions I get from my buyers AND sellers. It doesn’t matter your reason for moving or how many times you have moved---There are always lots of questions. Since many times my clients are buying and selling simultaneously, each blog post will address a buyer question as well as a seller question. Here is your scenario: You have just found out you are moving to another area, and must sell your house. 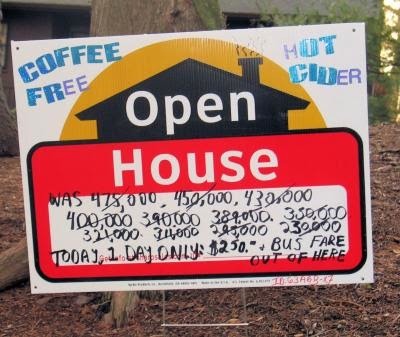 You also plan to buy a house when you get to your new location. The most important thing you can do to start? Find the right Realtor® to work with, of course! But how do you find that person? If you don’t already have an established relationship with a Realtor®, get a referral and/or recommendation by talking to friends, neighbors, colleagues…getting names and contact info. Set up interviews to meet with several Realtors®. There are a lot of great Realtors® out there, but you want to make sure the one you hire is a good fit for you. 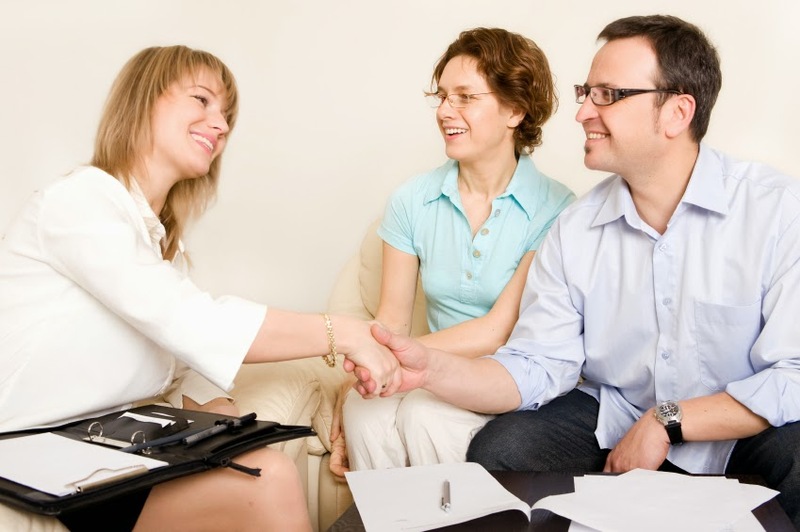 You won’t have the same rapport with every agent, so you will probably want to talk to several, until you make the right “connection”. (And by the way, it is very important to know that not every real estate agent is a Realtor®, which we will discuss in a future blog.) With something as important as selling what is probably your biggest asset, you want to make sure you are comfortable and confident with your Realtor®. If you are moving to an unfamiliar area where you know no one, (and you have a house to sell) once you find a Realtor® to work with in selling your house, ask if they can refer you to someone that would be a good fit for you in your new location. Realtors® attend classes, meetings, conventions, annual conferences, etc., and network with agents from everywhere. We have local, state and national meetings that we attend together, so we may know someone we can refer you to in another area. If you are relocating for a job, ask your new employer for recommendations. Talking to people about your move can also bring up recommendations for Realtors®. When I moved to the Warner Robins area, I did not know a single person, and was nervous and uncertain what to expect in our new town. When we announced to our Sunday school class that we were moving, one of our classmates said her college roommate lived in Warner Robins and that she would put me in touch with her. I had planned to transfer my real estate license to Georgia, so finding a new broker to work with was one of the first steps, much like finding a Realtor® to work with! When I called her, she recommended I talk to her friend, who was a Realtor® at Golden Key Realty. The irony is, that after I talked with her friend at Golden Key (Tracey Chastain), I met with the broker, Gwen Giles, and we connected so well that I hung my license there as soon as I arrived in Warner Robins a few weeks later, and have been with Golden Key ever since! In the next blog post, “Finding the “RIGHT” Realtor®!” I will post several questions you might ask during the Realtor® interview to determine who to hire. 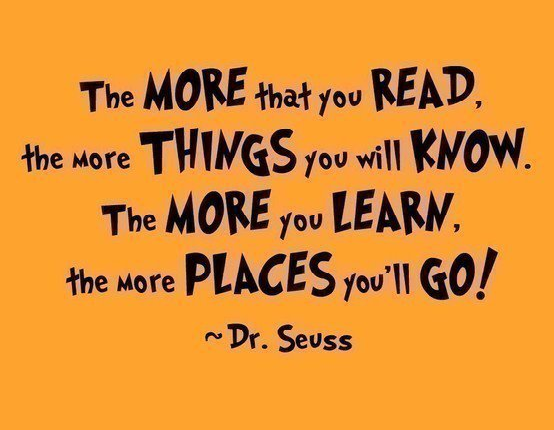 Factor Number 15: Read to Succeed! I tell my kids, ALL THE TIME, that when they open up a book, they open up unlimited possibilities for themselves. This is where your imagination can take you to places your never dreamed possible. And professionally? I can’t stress enough, how important it is to read, and to read often. Whether you read from a hard-back, paper-back, Kindle, or magazine…You don’t have to read only industry-specific information to improve and enhance your profession. As mentioned in an earlier blog, industry leaders stay on top of their profession by learning from other professions, too! Beautiful Newly Listed Home in Kathleen, Georgia! Check out this beautiful newly listed home in Kathleen, Georgia! Stunning home filled with upgrades and improvements galore! Welcome to this all-brick home nestled in a quiet, cul-de-sac neighborhood! Beautiful kitchen with upgraded cabinetry, new wood floors and carpeting, privacy fenced in yard with fire-pit and concrete patio and a master suite that's sure to fit the bill! Includes a one year 2-10 Home Warranty! Give me a call for more details 478-973-2684 or check out the Virtual Tour on my website! 200 Downing Circle in Kathleen, Georgia!